Clustered Chips Bracelet (7-1/2") - 1pc. 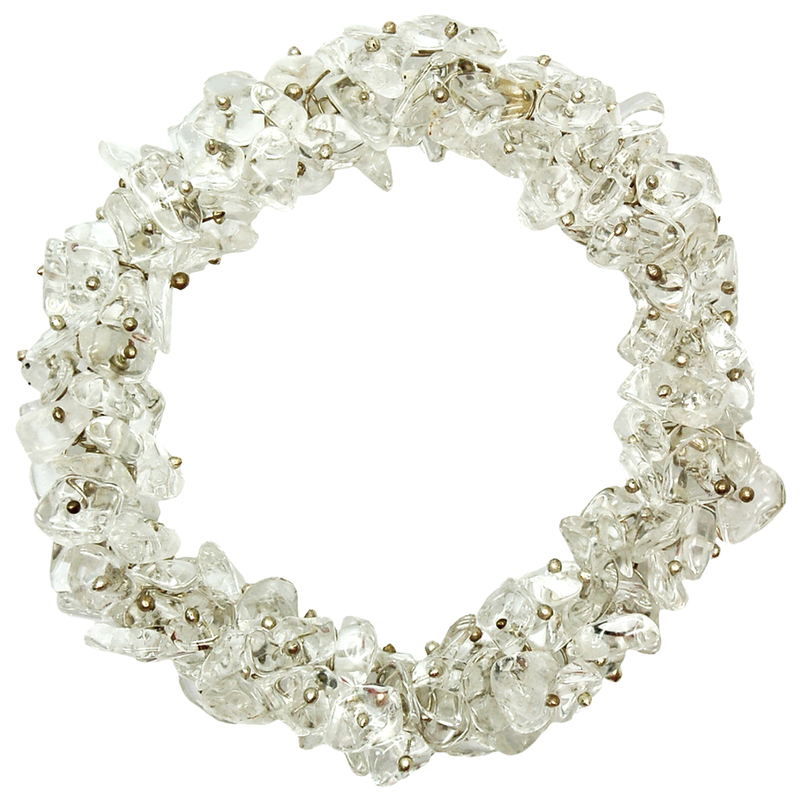 Clear Quartz Cluster Bracelet (India) - These Clear Quartz Cluster Bracelets from India are made from tumbled Clear Quartz chips topped with a mini beads. These crystals are gathered onto a stretch cord that will fit comfortably on a narrow wrist or expand to fit on a larger wrist as well. The "Stone of Power", Quartz amplifies energy and intention. Extremely popular metaphysically, Clear Quartz is known as the "Master Healer" of the mineral kingdom, with it's very high vibration, and is the most versatile healing stone among all crystals. Quartz is said to be the most powerful healing stone of the mineral kingdom, able to work on any condition. Clear Quartz is believed to protect against negativity, attune to your higher self, and relieve pain. 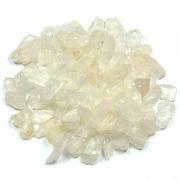 Quartz crystals are very programmable and have a tendency to hold a program much longer than other minerals. There are many different uses for Clear Quartz Crystal. Many crystal lovers use them for meditation, by either simply holding one in the hand, or by staring into a crystal until the meditator feels as if they've "entered" the crystal. Cultures the world over have used Clear Quartz for various healing and religious purposes, throughout the history of humanity. Some people wear Clear Quartz regularly to repel negative energy or to help with clarity of thought. Note: Extra care should be taken when placing and removing elastic bracelets from the wrist so as not to snap the elastic. Affirmation: I am a radiant being filled with all frequencies of light. Question: What is your most powerful healing tool? 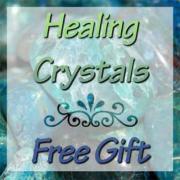 Healing Crystals was founded in 2003 with the goal of providing affordable and quality crystals worldwide. 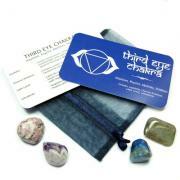 Our Mission is to "Promote Education and the Use of Crystals to Support Healing". We sort, pick and pack all of our crystals with great care. 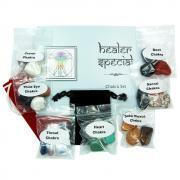 We also offer a special Prayer to each crystal and include it with every order. Many of our customers express that they can feel the difference in our stones. Give us a try and tell us what you think! Copyright © 2018 Healing Crystals Inc.